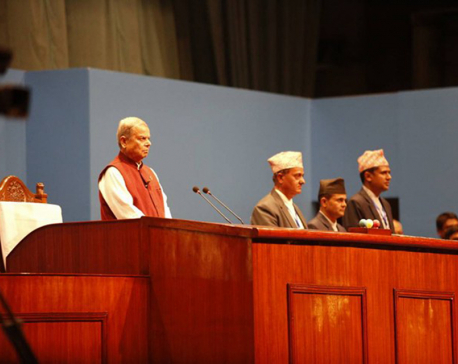 KATHMANDU, Sept 27: Lawmakers have amended the law to bring a new legislation in their favor allowing them to use diplomatic passport even for their private visits abroad. The bill to amend Passports Act has been endorsed by both the upper and lower houses of the parliament after adding a provision for allowing them to use diplomatic passport for 'special purpose' in addition to official visits. The original bill tabled by the government in the parliament had proposed barring the use of diplomatic passports in any other purpose except official visits. The government had proposed limiting the use of diplomatic passports after some lawmakers were arrested for giving their passports to other individuals in the recent past. There was no specific provision about the use of diplomatic passports until the new law came into effect. Section 6 of the bill has been amended stating that diplomatic passports can be used during foreign visits for 'government works or special purpose'. An official at the Ministry of Foreign Affairs claimed that the government officials and lawmakers could misuse diplomatic passport during their personal visits interpreting the visit as 'special purpose'. 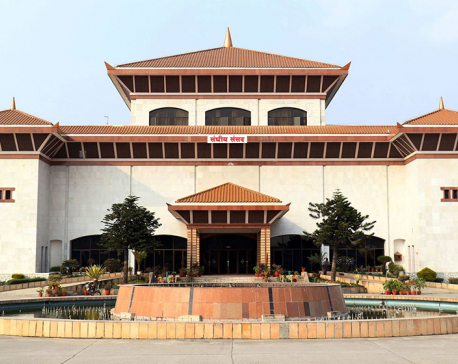 Nepali Congress lawmakers Dilendra Badu and Dibyamani Rajbhandari had registered amendments on the bill demanding that lawmakers should be allowed to use diplomatic passports for any kind of visits. The newly endorsed bill has increased jail sentence up to three years from one year and fine up to Rs 500,000 from Rs 500 for passport forgery or misuse of passport.